Yesterday, on the way home from the University, I decided to spend a bit of time at Burnaby Lake. A light warm rain was falling, and the lakeside was a quiet place to wander around and contemplate the life all around. The evening had a somber feel, and the photographic subject matter at hand echoed this. What does it all mean? 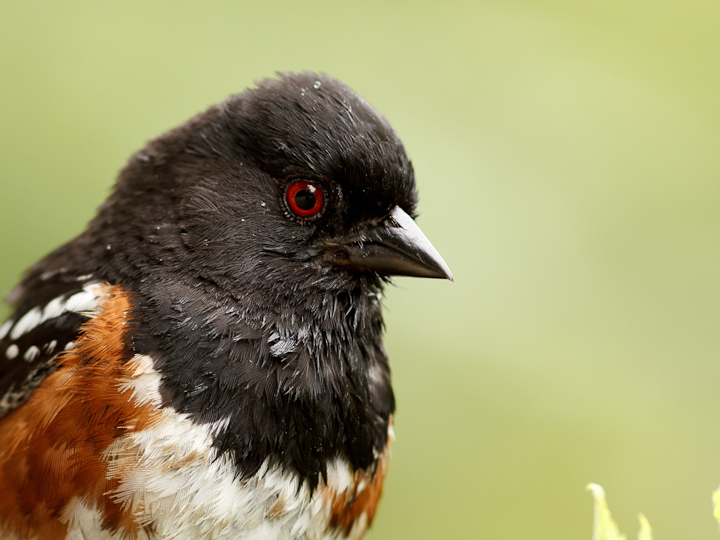 This towhee looked worried in the rain. 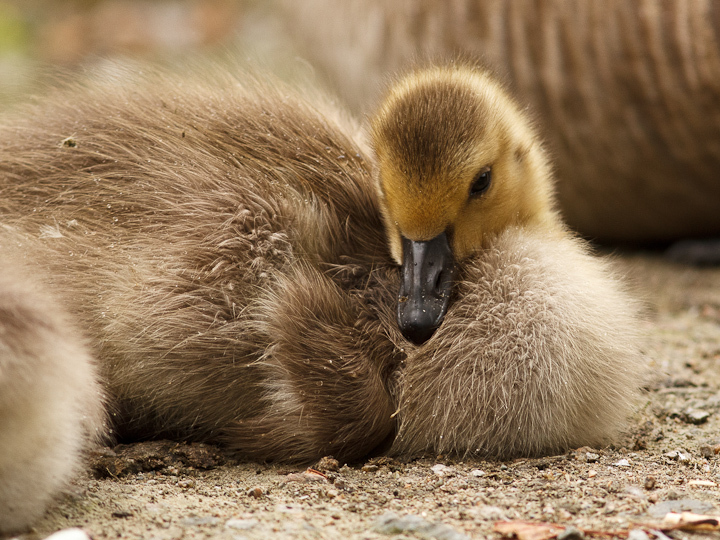 New life: goslings were resting by their parents by the lakeside. 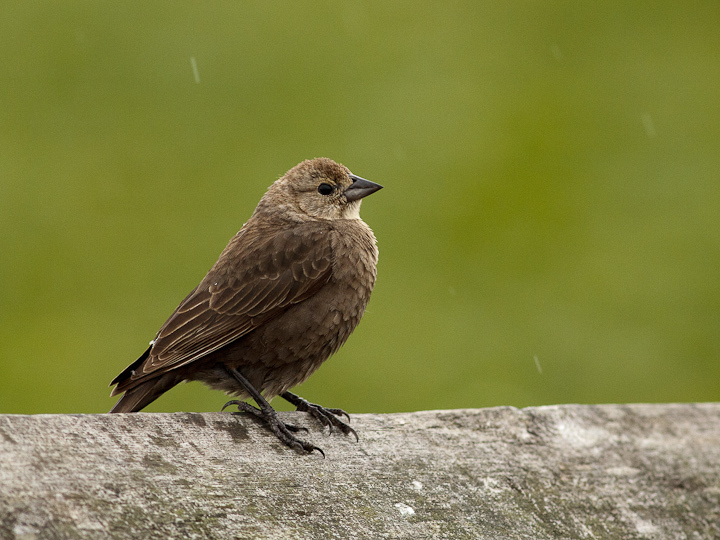 On its own: a brown headed cowbird, fledged from its hosts nest was picking damselflies off the dockside. 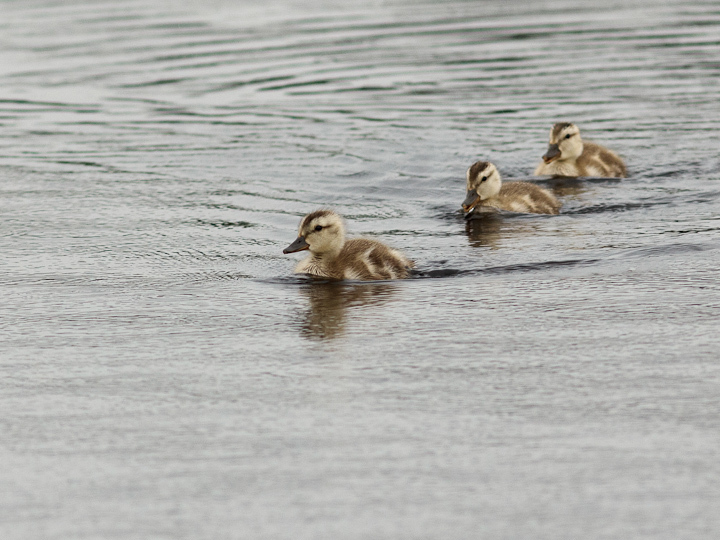 Lost: these three ducklings were searching for their mother. 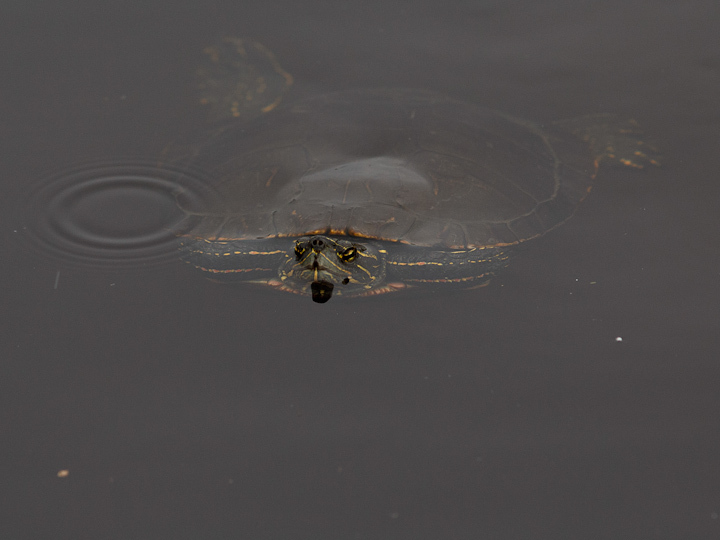 Master of contemplation: a Western Painted Turtle surveys the scene. 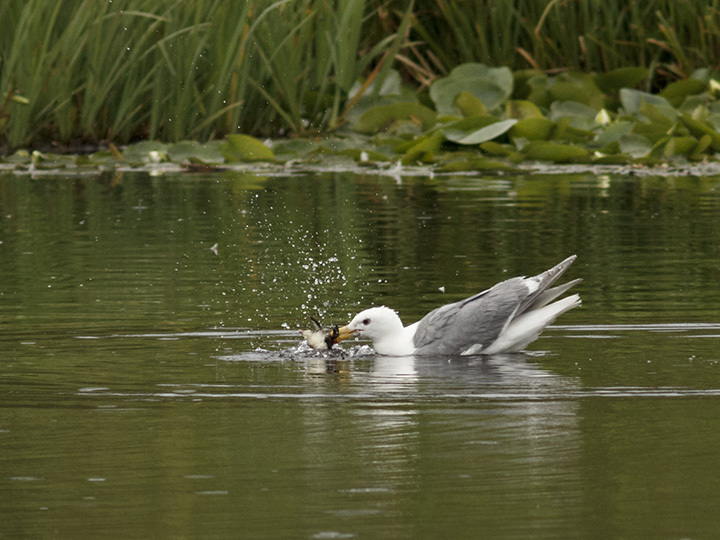 End of a short life: a gull shakes a baby Wood Duck before swallowing it alive. 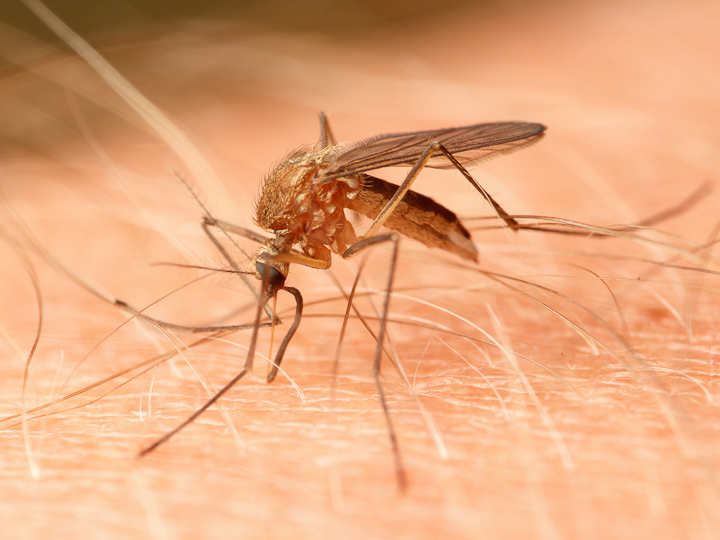 For the next generation: a female Aedes cinereus drinks my blood to provide protein for egg maturation. 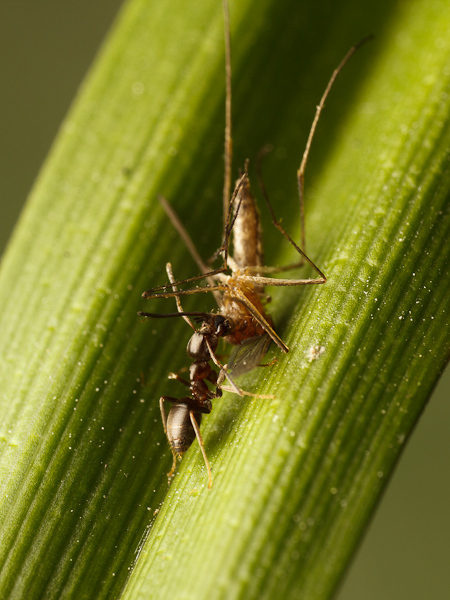 The essential transfer: mating gall midges on a flower. 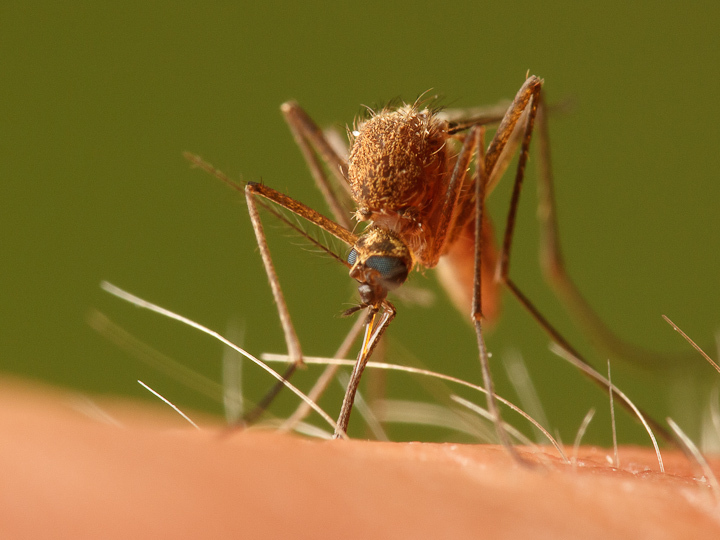 Top up: Aedes cinereus again, really going hard at my ankes. After swatting some Aedes cinereus, I share the bounty with a Lasius worker. 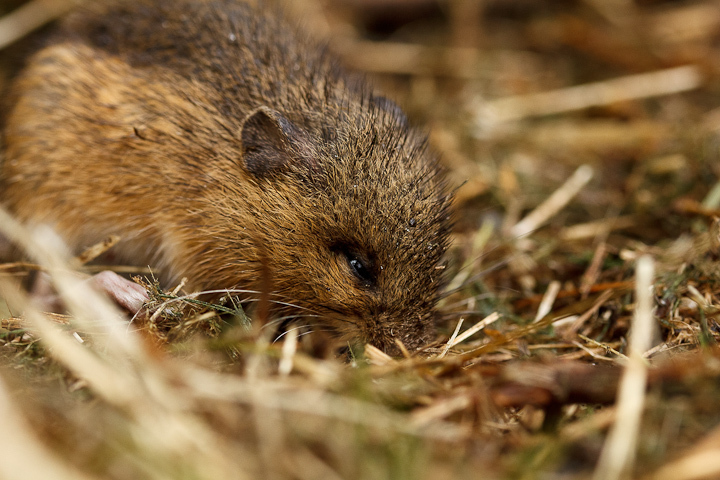 Nearly dead: A Meadow Jumping Mouse (Zapus hudsonius) by the side of the trail. 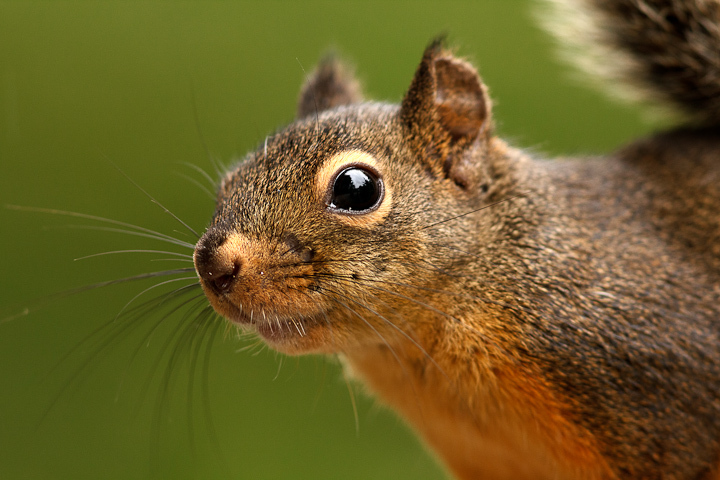 I have no idea what was wrong with this beautiful, normally speedy rodent.